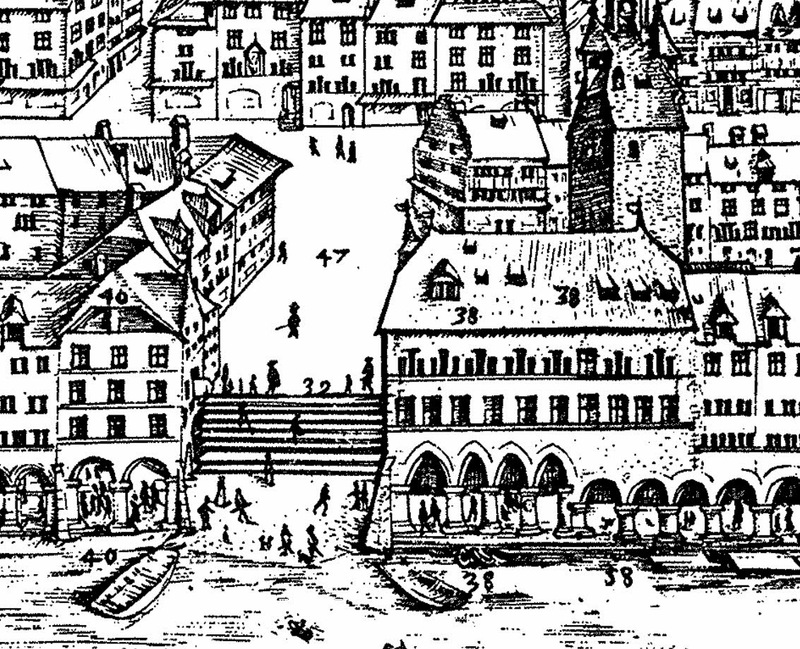 The city of Lucerne has several very nice medieval maps. Among them is the Martiniplan of Lucerne, dated 1597. It is one of the best copper graving art work of that time. Martini did not follow geometrical correctness. He changed the things in order to nicely present them. He has hidden some things and blowed up other things. The houses look a bit smaller, the roads and squares a bit bigger. On top of that he put live on the map by adding people to it. You can see Ladies with hats walking down the street and man with swords crossing the square. Most probably you will be amazed about the precision of this masterpiece, at least I am. Have a virtual city sightseeing tour of Lucerne. See the Musegg Walls, the Kapellplatz, the town hall and the market unter der egg, or watch inside the mills at the Spreuerbrücke.